The United States Justice Department and the Attorneys Generals of twenty states plus the District of Columbia file an antitrust lawsuit against Microsoft. The case focuses on Microsoft’s integration of the Internet Explorer web browser into its Windows 98 operating system. 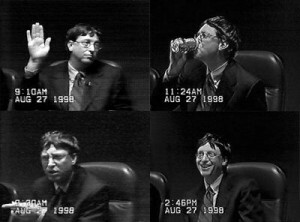 The trial becomes one of the most famous events in tech history, eventually resulting in a settlement between the DOJ and Microsoft. In fact, the sanctions levied against Microsoft only recently ended in May of 2011, almost exactly 13 years after the suit was filed.